DISCLAIMER: I’m not paid for any reviews I write. Hell, I wish I was; it’d bring in more money for fun radio stuff. Be assured my reviews are 100% my own stream of consciousness. 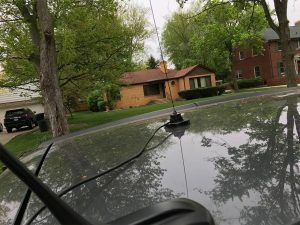 There has never been a more controversial topic in ham radio than that of mobile antenna installations. Half of the world thinks that everything can be solved with a good hole saw through the roof. The other half is reasonable and understands that sometimes that isn’t an option. Let me preface this by saying that yes, in most situations a drilled and sealed NMO mount properly installed will outlast and outperform any temporary mounting method. However, for those of us who aren’t able to permanently change things about their vehicle, be it for rental or lease reasons, or maybe your significant other just doesn’t want any holes in the car. Regardless of the reason, just because you can’t drill doesn’t mean that you have to settle. The old warrior’s shift comes to an end. I was in a very similar situation. My car is not owned by me, and therefore I am unable to make any permanent alterations to the vehicle. 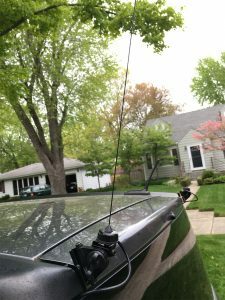 I had been getting by for a year with a simple mag mount and a non-resonant less-than-ideal ebay special quarter wave antenna. 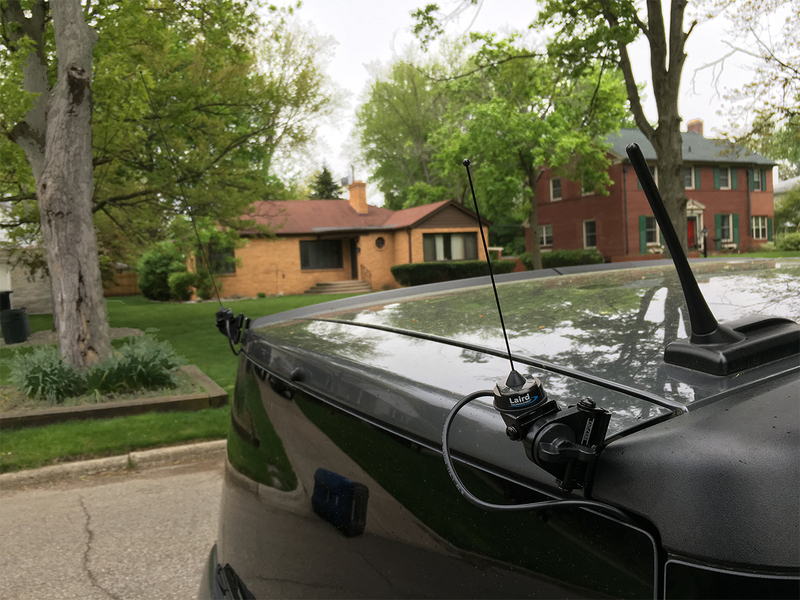 I had been planning on upgrading my antenna situation for a while, but I knew that drilling anything was a no-go. So I started searching for various mounting options before settling on a dual Comet RS-720 setup for separate VHF/UHF quarter waves. I’m not one for long antennas, but I’ll also be acquiring an SBB-5 for when I need a little more gain, say during ARES or SKYWARN operation when communication is critical. I put in the order with the Antenna Farm (who are great people by the way) and it was at my door in 4 days. Time to start playing. I ended up going with the RS-720NMO, the version of the mount that supports standard NMO antenna mounts instead of the regular PL-259 mounts. I prefer NMO because it’s much easier to get commercial grade antennas with NMO bases, and I would never stoop to ham-grade mobile whips unless I really needed the gain. I also picked up two Laird NMO mounts with coax, and laird QWB144 and QWB430 1/4-wave antennas for a very reasonable price. The mounts are rock-solid. The main body of the mount is 1/4-inch steel and has absolutely zero flex whatsoever. I was worried that the hex nuts holding everything tight would be a weak point, but when you tighten them down there’s no way the antenna is moving. I like the ratcheting adjustment of the main axis, and the handle for loosening and tightening this axis is just as solid as the body. I have 100% confidence that these things will withstand many years of abuse, and probably multiple vehicles as well. The NMO mounts fit in the bracket perfectly, and it only took me ten minutes to get the things out of the box and up on the element. They’re pretty sharp-looking too. The mount couples with the body well to provide a good ground plane for the antenna. UHF Quarter waves barely need a ground plane, but it still helps to have good bonding. The problem with using the NMO mount version of the RS-720 is that the underside of the NMO connector, while usually protected by the interior of the vehicle, is now exposed to the elements. Especially with dissimilar metals, corrosion is a very real threat. Unless I missed something, I’m not aware of any surface NMO mounts that are waterproof on both sides. My solution to the problem was to take the small plastic boot off of the bottom, dab some RTV silicon in there, and seal it back up with the boot. This is better than nothing, and should help to preserve the coax connection and prevent premature failure. 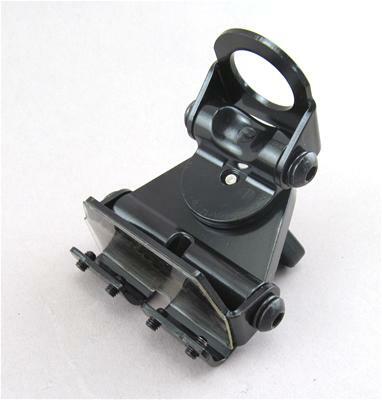 However, when NMO mounts are only $10 a pop, it’s almost reasonable to expect to replace the mounts every few years. Almost. It seems like a good idea in practice, but Comet could have provided some sort of waterproofing solution along with the mount that could avoid the problem in the first place. Overall, I’m very pleased with the way these mounts turned out. They’re leagues better than my magmount, and I imagine they’ll serve me much better than that paint-scraper ever did. A big thanks to the guys on the amateur radio subreddit, and to k0azv for recommending the RS-720 to me. Oh, and I’ll hopefully have part three of that Railroad Spectra article up sometime within the next year.